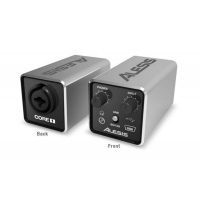 Alesis was established in 1980 and founded on innovative semi-conductor chip technology. In 1986 Alesis introduced the world’s first professional 16 bit effects processor under $1000, the revolutionary Midiverb. Throughout the years Inta Audio have forged a great relationship with Alesis and continued to supply a wide range of their equipment. With products ranging from keyboards, synthesizers, hard disk recorders, iPod recording and playback devices, electronic drums, mixers, signal processors, effects units, amplifiers and speakers one thing remains consistent; Alesis's passion for inspiring musical creativity and innovation through new technology.